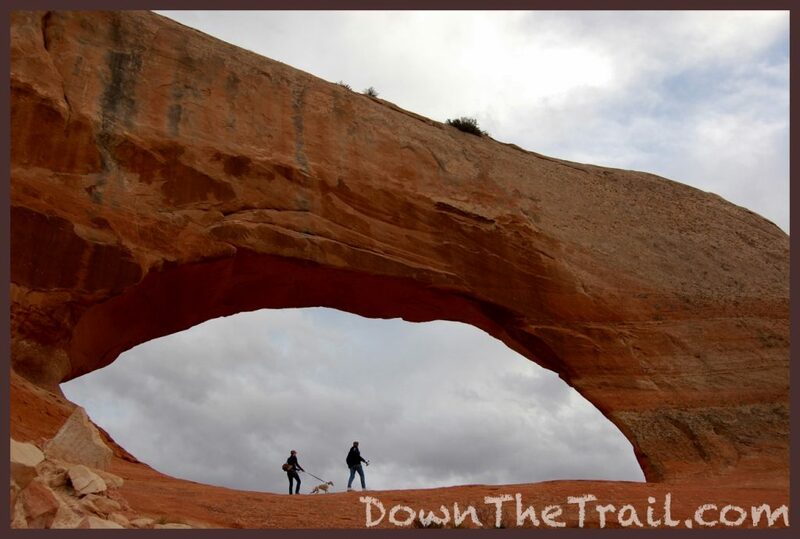 Wilson Arch may be the most-accessible natural arch in all of Southern Utah. 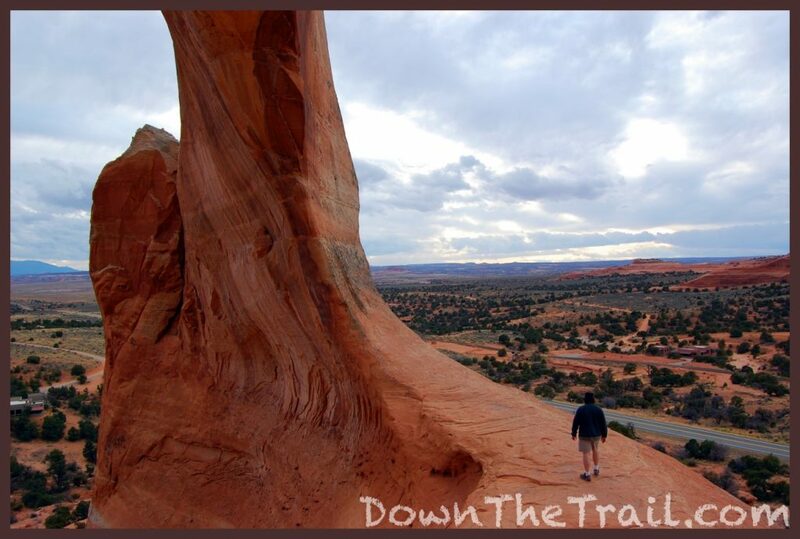 Fairly large and impressive, it’s 91 feet high and 46 feet tall, carved of Entrada Sandstone. 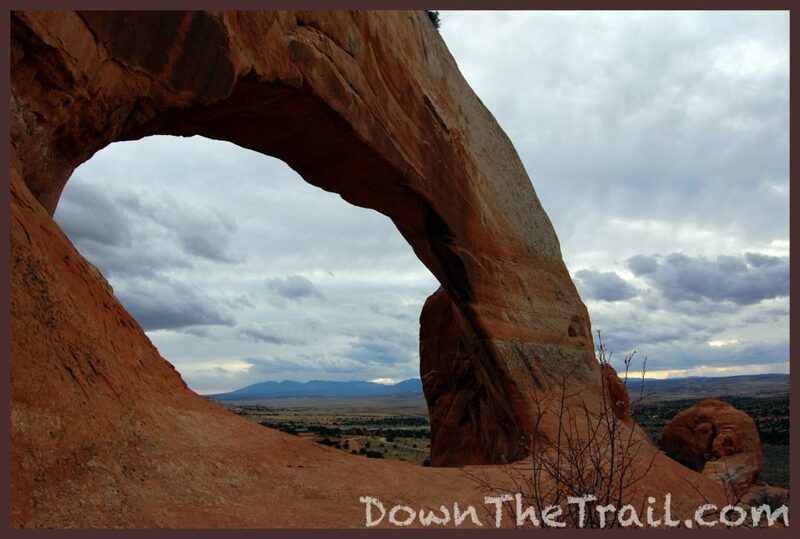 You can hike up to the arch, too, and stand inside it! It’s a simple, steep walk into it from the pullout along the highway. Best of all, it’s free! It may sound a little silly to say a part of the natural landscape is “free,” but consider the necessary fees at nearby places like Arches National Park. 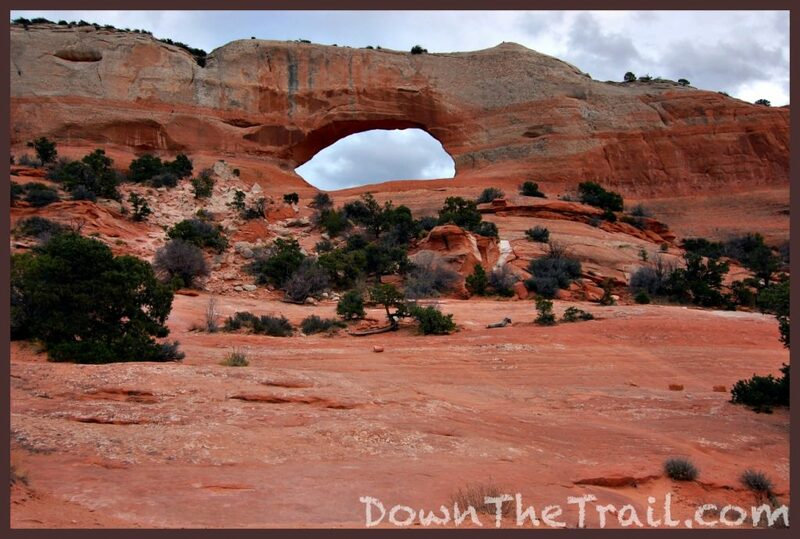 Wilson Arch is located on BLM land. 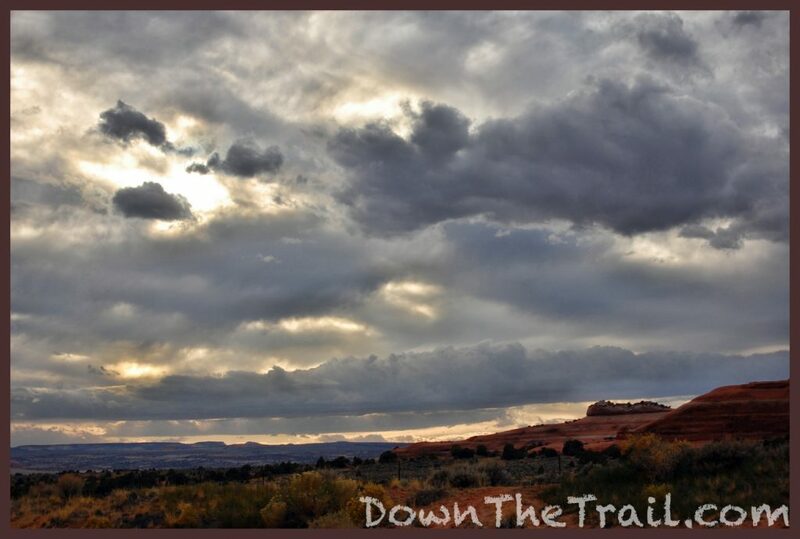 It’s located 24 miles south of Moab on the east side of Route 191. Or if you’re coming from the south, it’s 50 miles north of Blanding, or 26 miles north of Monticello. You should be able to see it from the road easily enough. An interpretive sign states that it was named for local pioneer Joe Wilson, who had a cabin in nearby Dry Valley. The elevation in this area is about 6,000 feet above sea level. 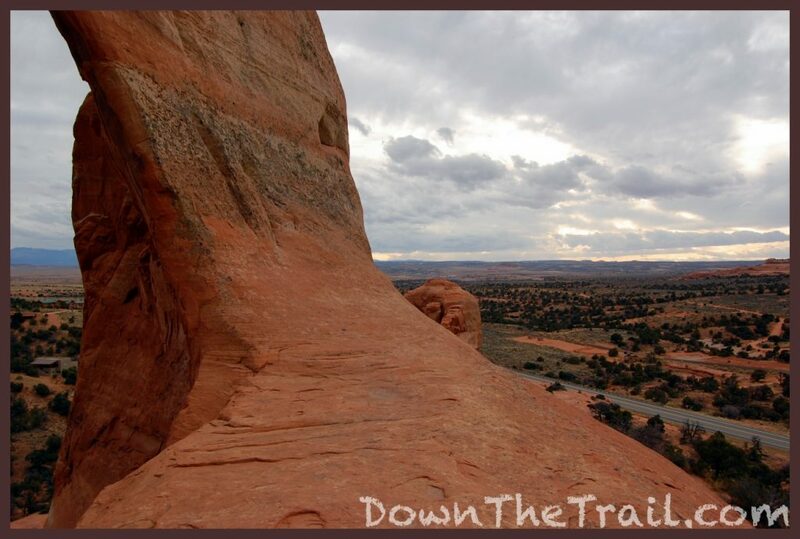 Wilson arch has become a favorite site for climbers. 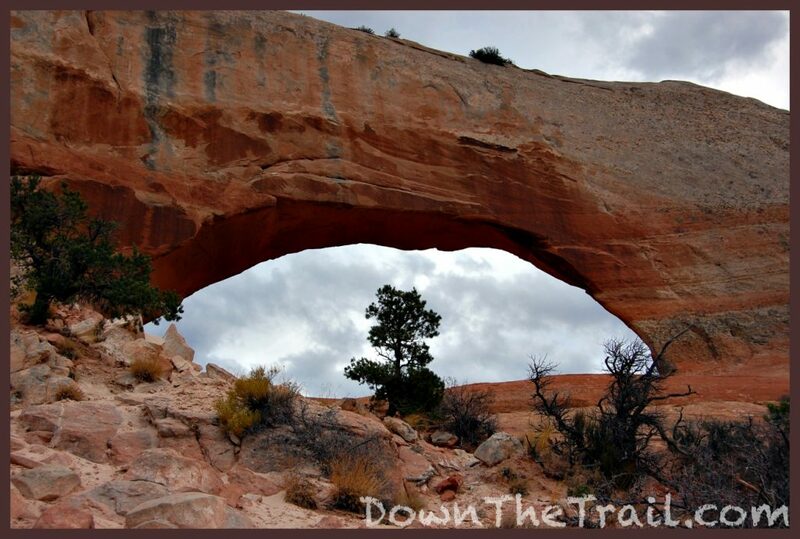 Have you ever seen videos of people swinging from a rope below a natural arch? That sort of stunt is possible here, or you can simul-rappel too. 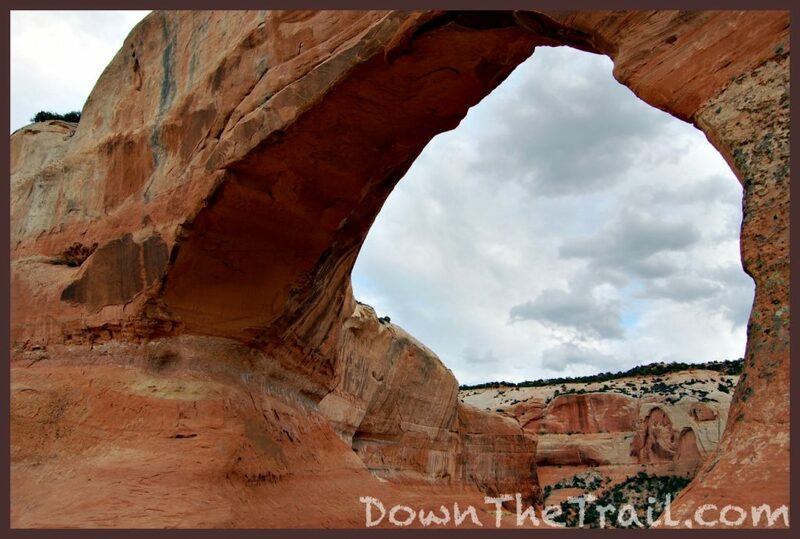 The route to the top is on the right side of the arch, and rated 5.3. There should be a couple of good anchors up there. 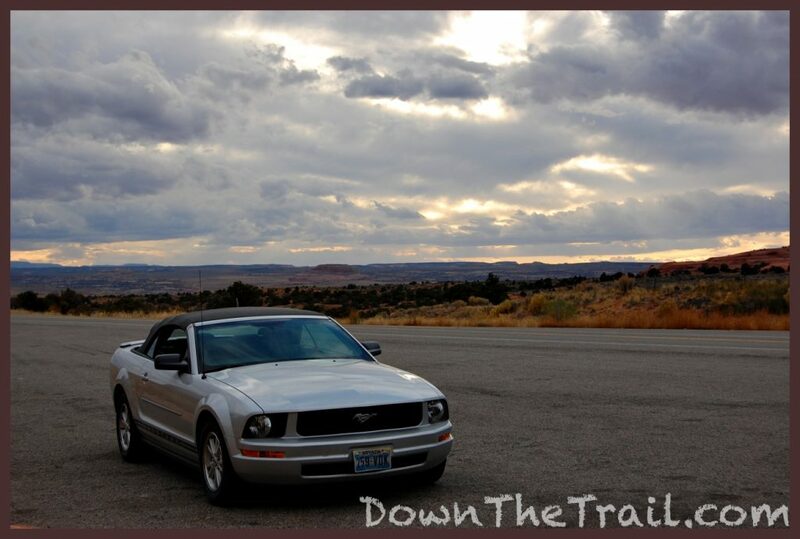 I was on a road trip with my brother Steve on November 4, 2008 when we stopped at Wilson Arch. 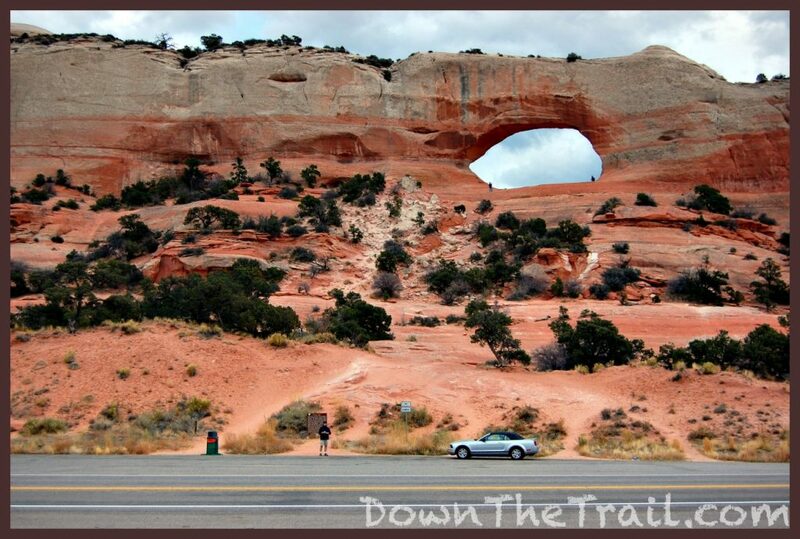 We were traveling from Monument Valley to Moab, and happened to see the arch along the road. It was a pleasant surprise, and fun to walk up and explore it. We saw only two other visitors here this afternoon. 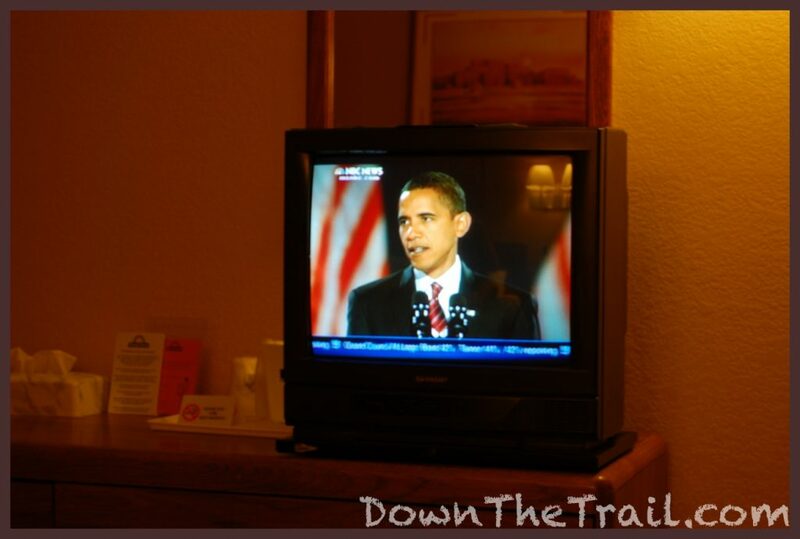 November 4th was election day, and we got to watch from our hotel room in Moab as Barack Obama was elected president! In case you don’t remember, it sure felt like a pretty big deal that evening.